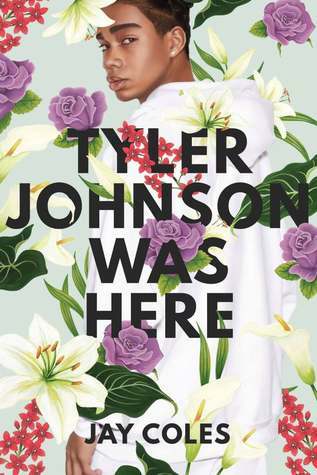 “Tyler Johnson Was Here” is just such a book that is destined to provoke conversation, particularly on police killings and the role of Black Lives Matter movement. The novel centers on the lives of twins, Tyler and Marvin, growing up in the fictional town of Sterling Point. The twins are raised by their single mother while their father, who is incarcerated, makes frequent appearances throughout the book in the form of letters written to Marvin. Even though this is the story of twins, the story is told through Marvin, the more grounded of the two. Marvin hangs out with his friends Guillermo and Ivy, makes decent grades, watches reruns of “A Different World” and hopes to get into MIT. Tyler is the more restless twin, directing his energies toward social pursuits and hanging with a tough crowd. Much to Marvin’s dismay, he notices a rift between him and his brother and cannot convince Tyler to stay away from trouble. One night, after a party thrown by a local drug dealer, Tyler does not return home. Several days later, he is found deceased. A leaked video reveals that Tyler was unarmed when he was shot by police. As Marvin deals with his grief and anger over his brother’s death, he turns his efforts to protest and making sure that his brother’s memory isn’t forgotten. — The pacing of this novel was a problem for me. We’re told on the front flap of the book that Tyler is going to disappear and later be discovered dead. However, the characters do not discover Tyler’s death until well over halfway into the book. I felt as if the author could have skipped the ‘missing’ part, because it slowed the pace of the novel significantly. You’re literally just sitting around waiting for the inevitable for the first 150 pages. That’s not fun. — Characterization fell a bit flat in this book as well. Even though I felt I understood Tyler, when I finished this I realized that I really didn’t. The limitations of a single perspective (Marvin’s) is apparent here. We know he was a good kid who got mixed up in a troubled crowd, but we’re never told the exact nature of his last days, his dealings with his friends. The author spends a great deal of time making the point that although Tyler may have been troubled, this was no reason for the manner of his death. While this is true, I think this point would not have required so much emphasis with more character-building as far as Tyler was concerned. — There’s also a side character that goes absolutely nowhere: an aunt who’s a police officer, mentioned several times in the novel, who’s “always on the phone” with Marvin and Tyler’s mom. Considering that the police are the bad guys here who murdered Tyler and all of law enforcement in this book is portrayed as the epitome of evil, a relative of Marvin’s who happens to be a cop may have added to the complexity of this book. But that’s never explored. Weird. — Marvin meets a girl, Faith, through his attempts to discover his brother’s whereabouts after the fateful night at the party. They eventually become involved with one another, but I never got a sense of their chemistry, her relevance to the story beyond the standard YA romance requirement, or really why she is in the book at all. — The multitude of references to the tv show “A Different World”: Marvin is obsessed with this show, viewing it as a way to “understand” diverse Black characters. I’m not sure why this is, especially when there are more modern (and diverse!) shows with Black characters that could have been referenced here. I’m an 80’s baby, so I watched “A Different World” as a teenager (it went off the air in 1993, right as I went into high school). A teenager in 2018 still fixated on characters from a show from well over 25 years ago seemed strange, kinda like a kid who watches a dated show like “Hogan’s Heroes” expecting to find enlightenment. Yikes. Comparisons to “The Hate U Give” are inevitable (both have Black main characters, both are about the subject of police violence), and if I had to pick between the two I’d say in a heartbeat that “The Hate U Give” is the much better book. Despite my criticisms, however, I won’t go lower than 3 stars for “Tyler Johnson Was Here.” I also wholeheartedly recommend this to other people to read. Even though TJWH has problems in its execution, I respect what it does accomplish successfully, and that’s place the narrative surrounding police violence in the hands of Black youth, within the context of their own language and culture. The value of those things in and of itself is immeasurable, respectable, and deserves notice. And yes, the cover. It’s quite beautiful. I want to read this book, but at the same time not. I’ve seen several reviews along the same lines as yours and I’m not sure I want to invest the time.